1982 (Roman Numerals: MCMLXXXII) was the 82nd year of the 20th century. 1982 was not a leap year, and the first day of the year was a Friday. On this page, we have listed some of the major historical, news and sporting events that took place in 1982. Argentina invades Falkland Islands, a British colony, resulting in Falklands War. The war ends with a British victory. King Fahd succeeds to the throne of Saudi Arabia. John Hinckley found not guilty by reason of insanity, for the attempted assassination of US President Ronald Reagan. Jean-Loup Chretien is the first French man in space. The Mary Rose, a sunken Tudor battleship is raised from the sea near Portsmouth, England. John De Lorean is arrested for trafficking in cocaine (he will later be acquitted). Commodore 64 computer released. It goes on (and remains to this day), the biggest selling computer in history. 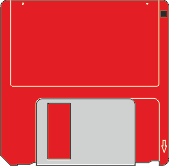 First 3½ inch floppy disks introduced. 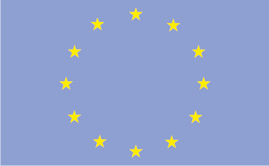 European Community adopts the European flag. The International Whaling Commission decides to end commercial whaling by 1985-1986. First Compact Discs (CDs) released to the public. Honda becomes the first Asian automobile company to begin producing cars in the United States. Michael Jackson's album Thriller is released. It goes on to become the biggest selling album in history. National Football League players stage a 57-day strike.